SeaDream yachting is different from big ship cruising: only 55 couples are pampered by award-winning crew of 95, the level of attention and service to each guest makes yachting aboard either one of our mega-yachts SeaDream I or SeaDream II feel as if you are on your own private yacht. Be as active or as relaxed as you like and take in the ultimate in luxury, privacy and pampering. Your all-inclusive SeaDream voyage includes ocean view accommodations, gourmet meals, wine with lunch and dinner, open bar with selected premium brands, gratuities, use of water toys, mountain bikes, golf simulator, board games, books, and SeaDream Champagne and Caviar Splash. 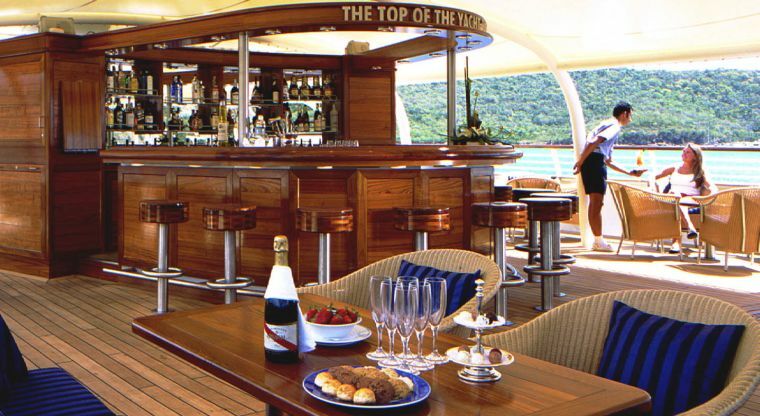 Seadream Yacht Club Cruises have extraordinary savings on a vast variety of voyages. Explore Mediterranean, Transatlantic or Caribbean! Plus at Premium Cruise Holidays you pay No credit card fees!